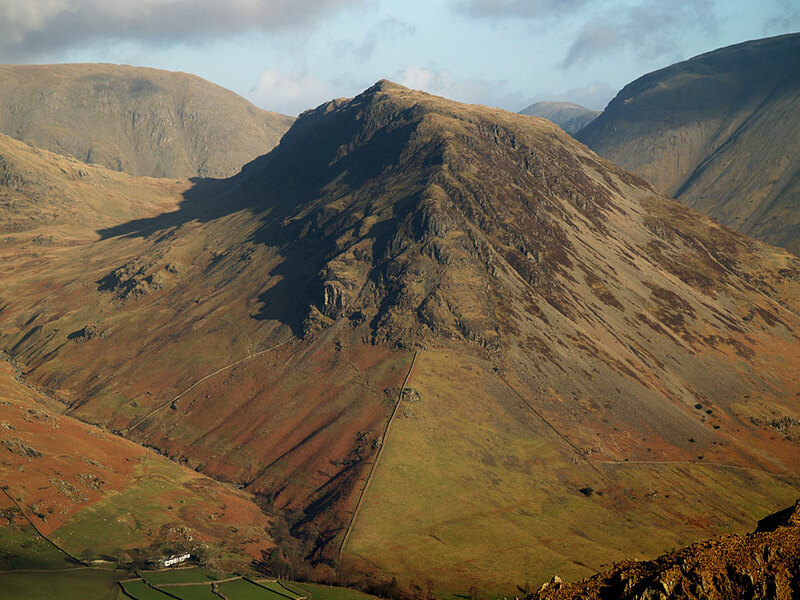 Yewbarrow has two tops, North and South – the south one is the recognised top. It is recognisable in the Lake District logo on the classic Wast Water shot. 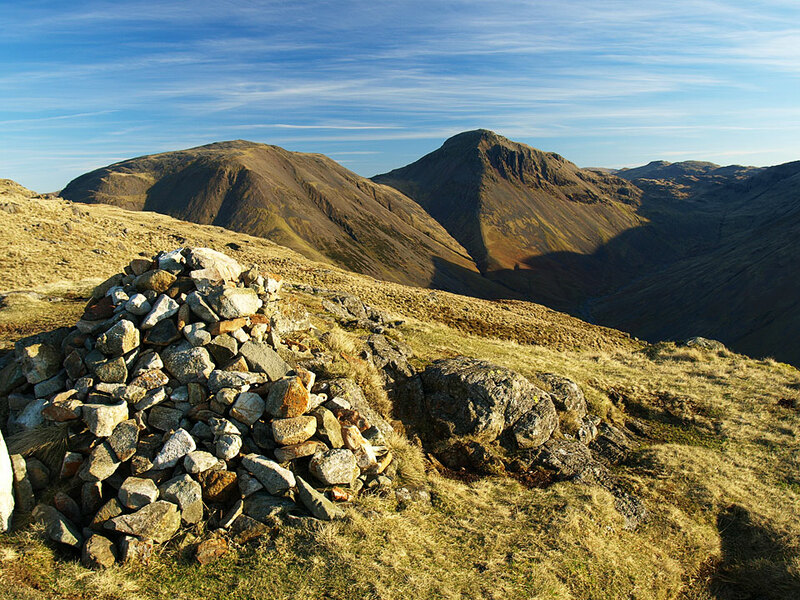 Kirk Fell and Great Gable from the cairn beyond the north top of Yewbarrow. 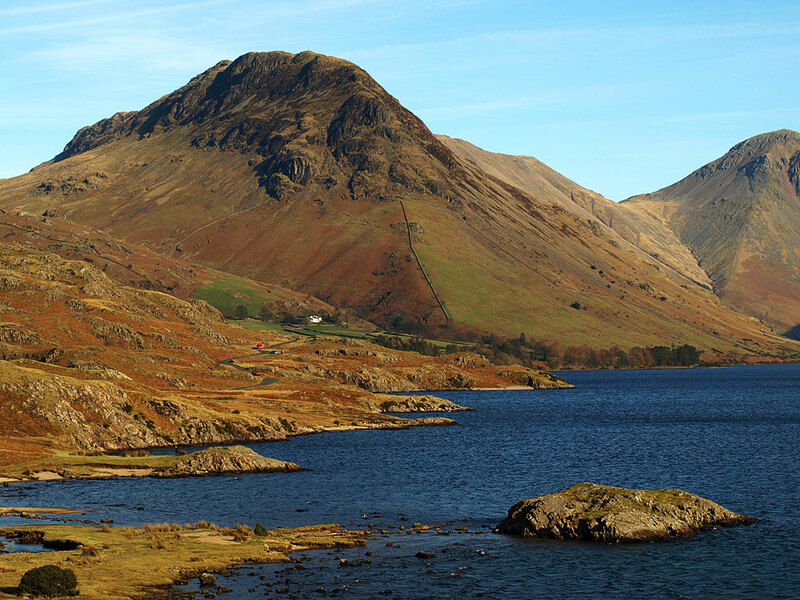 The classic view along Wast Water, Yewbarrow is to the left.